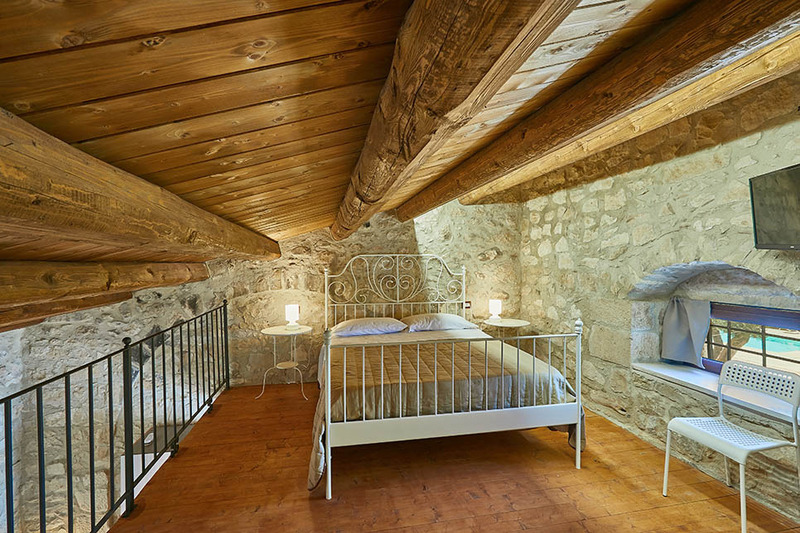 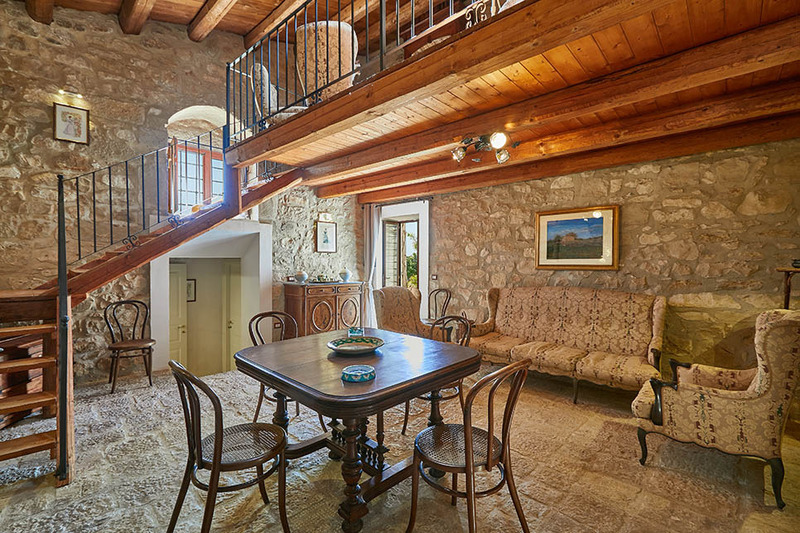 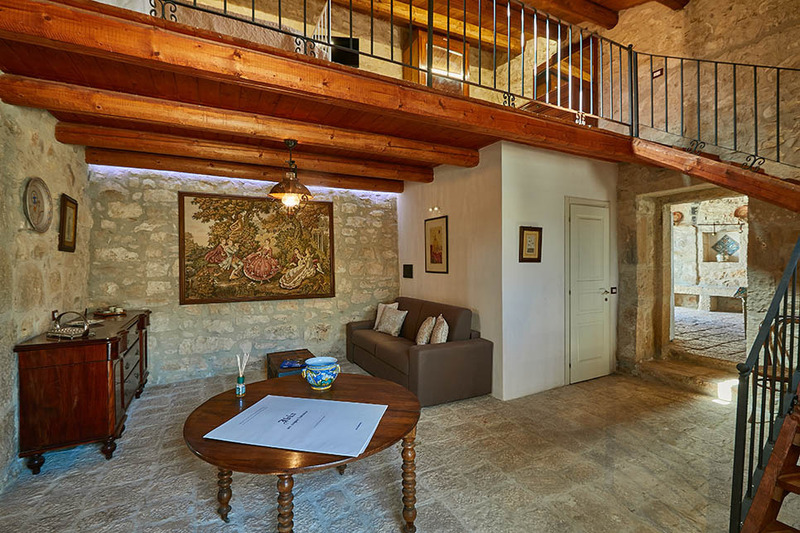 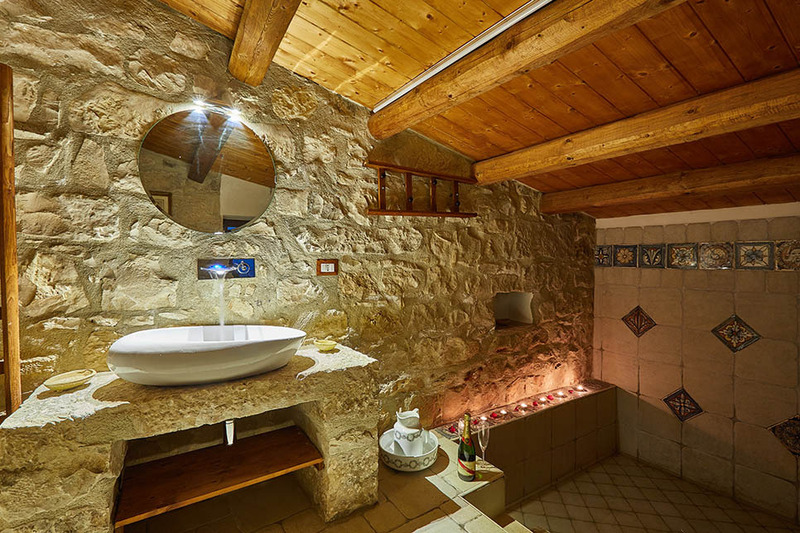 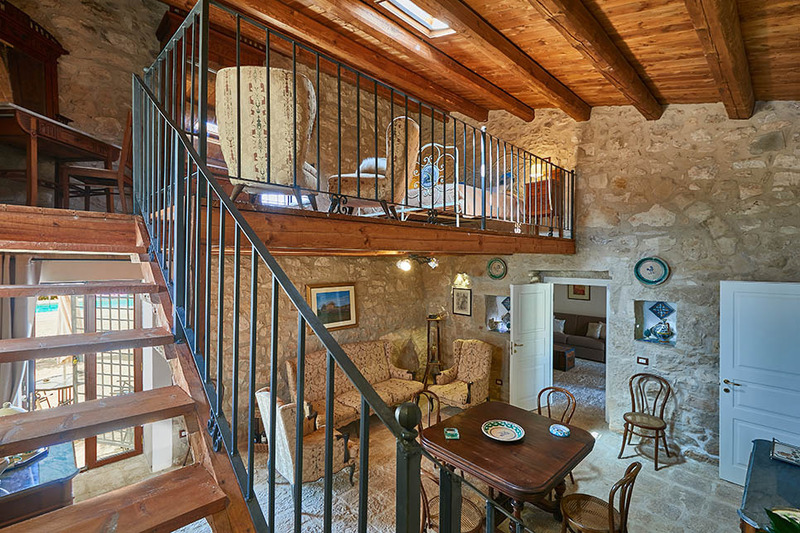 Casale Arezzo is a traditional Sicilian country property with a private pool and jacuzzi. 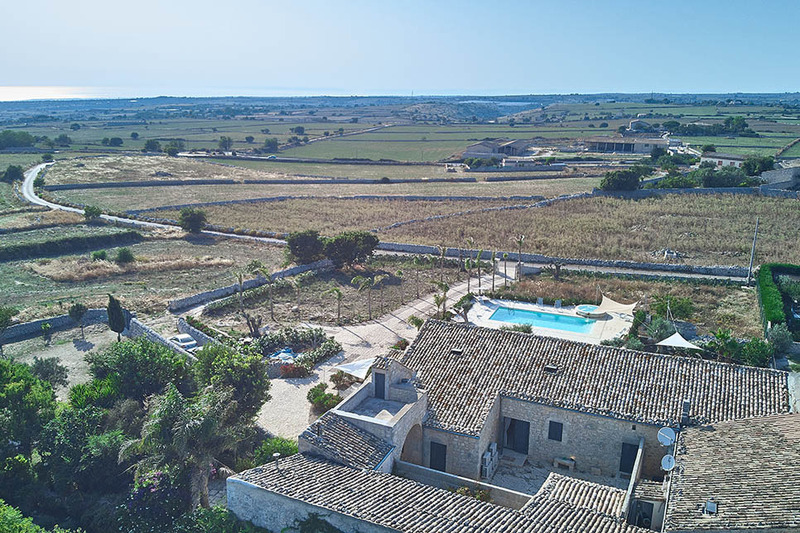 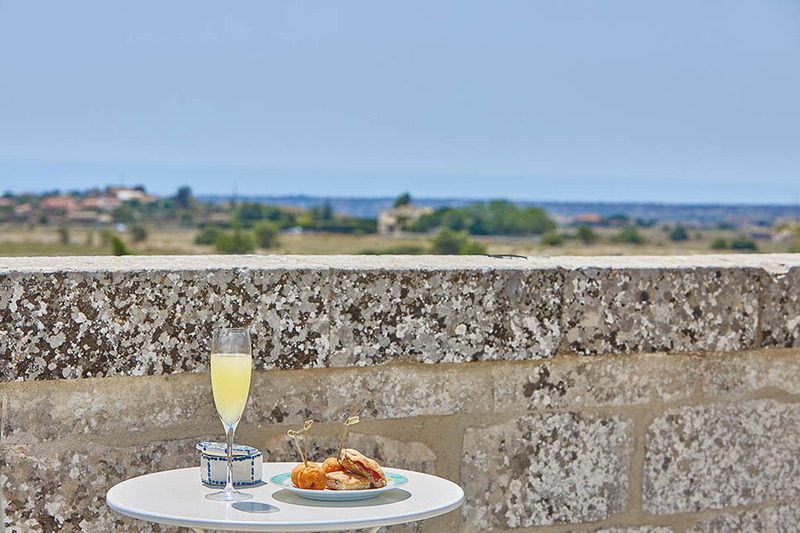 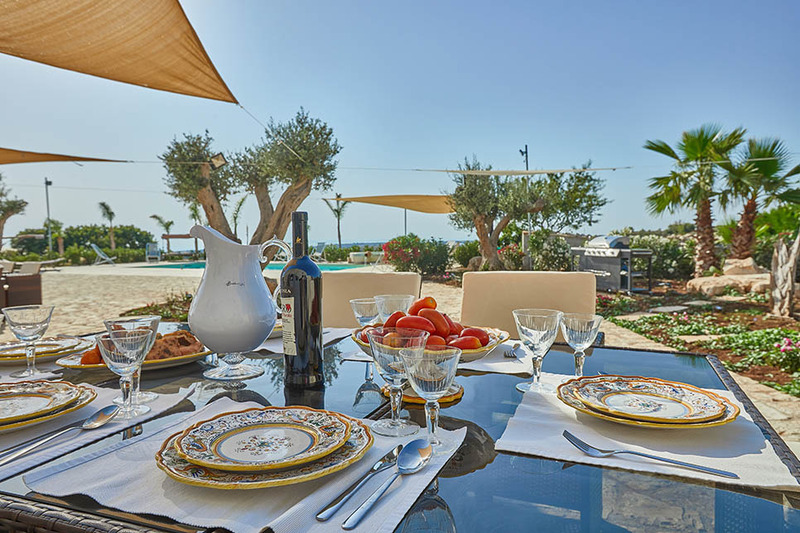 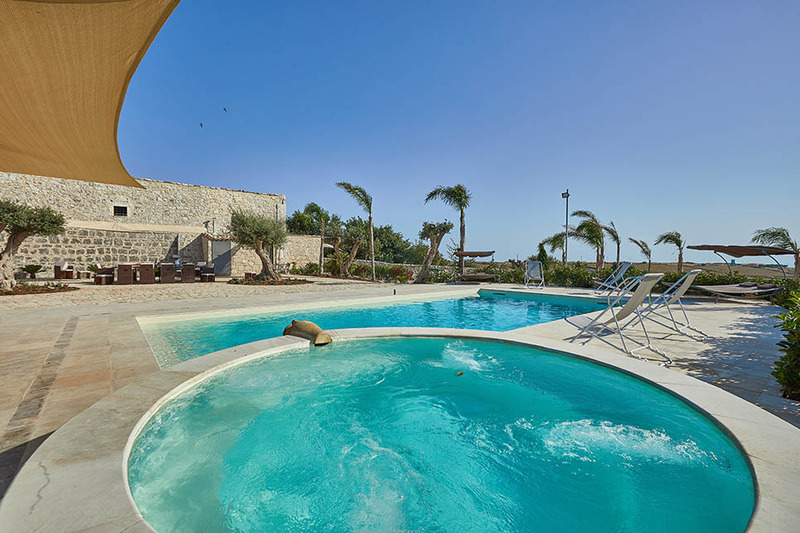 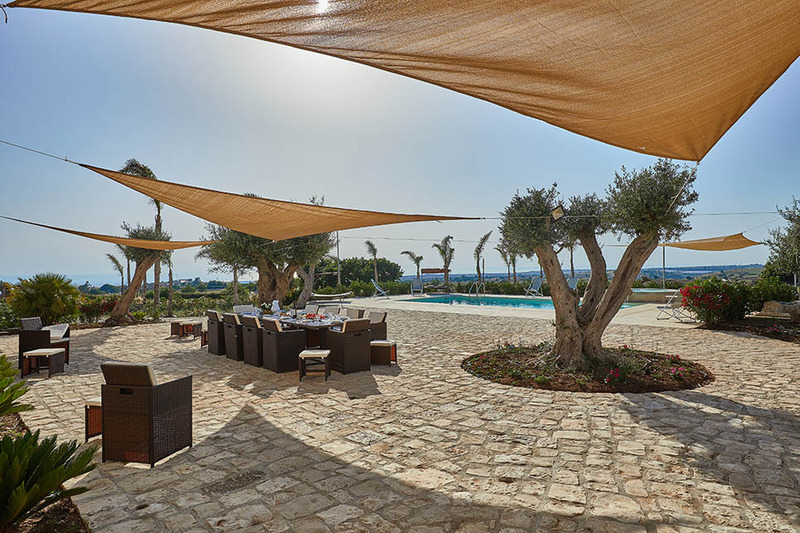 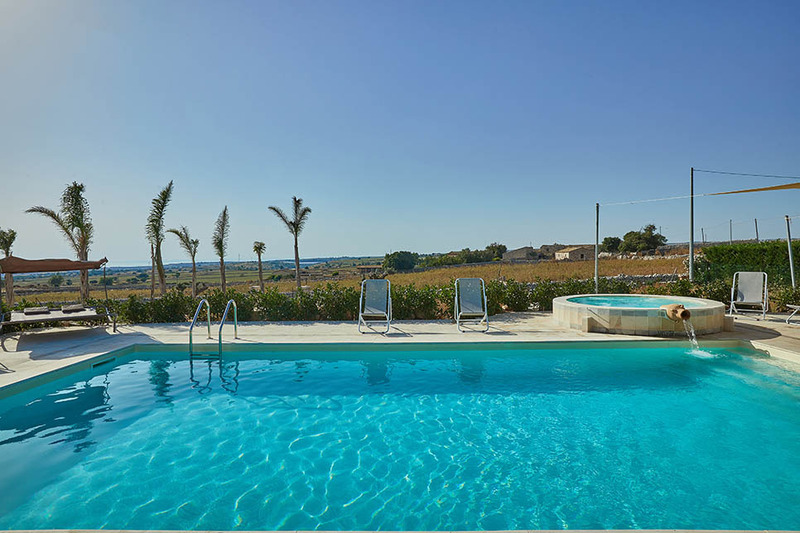 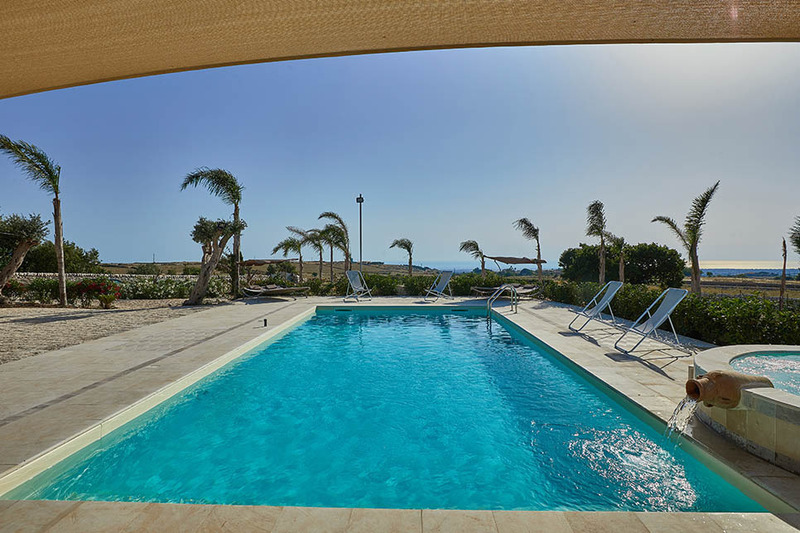 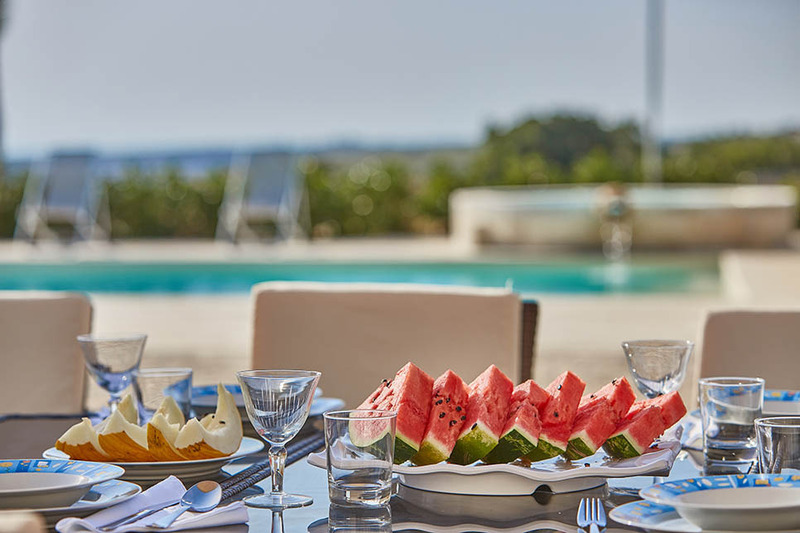 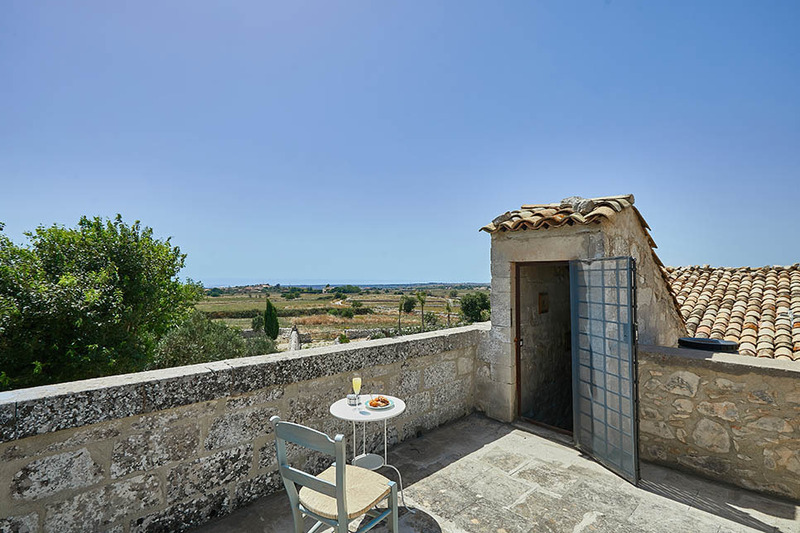 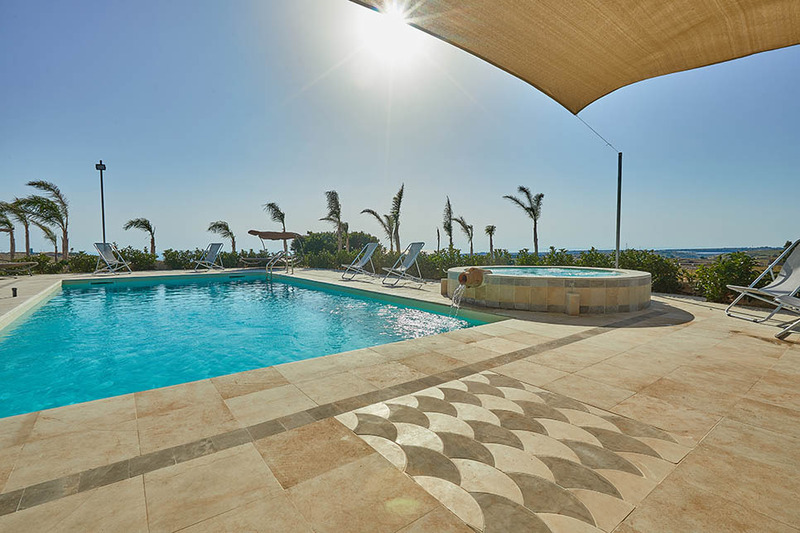 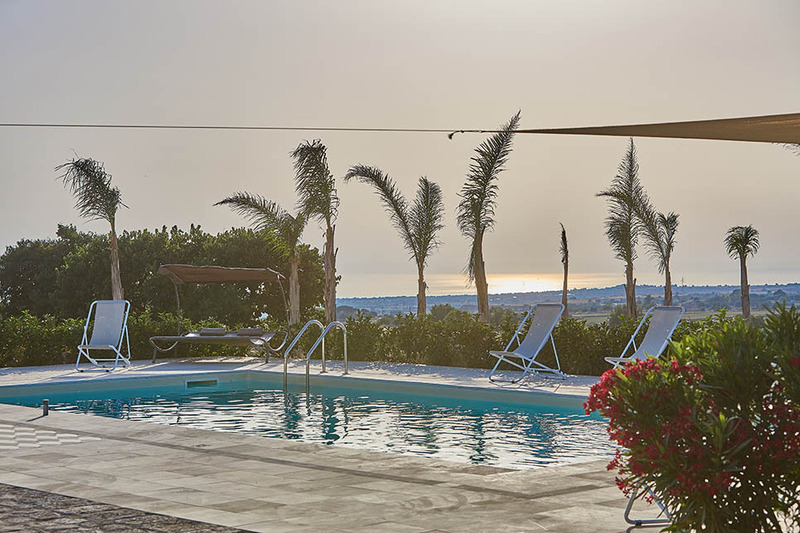 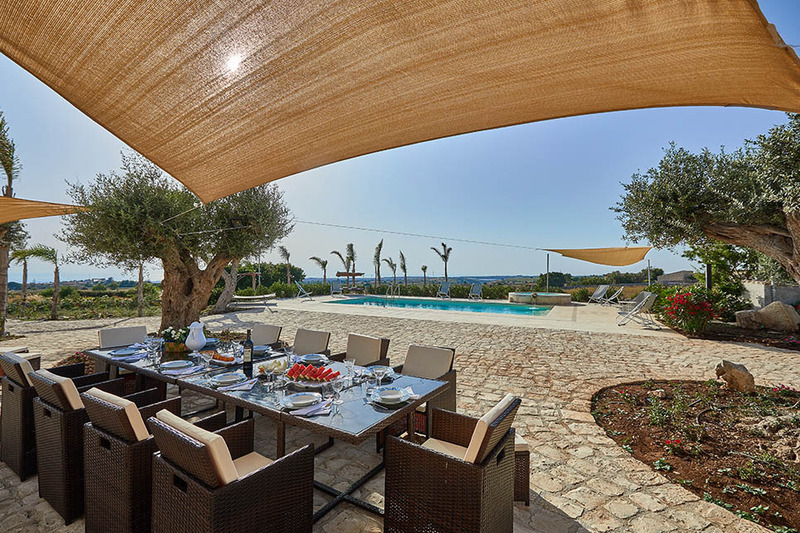 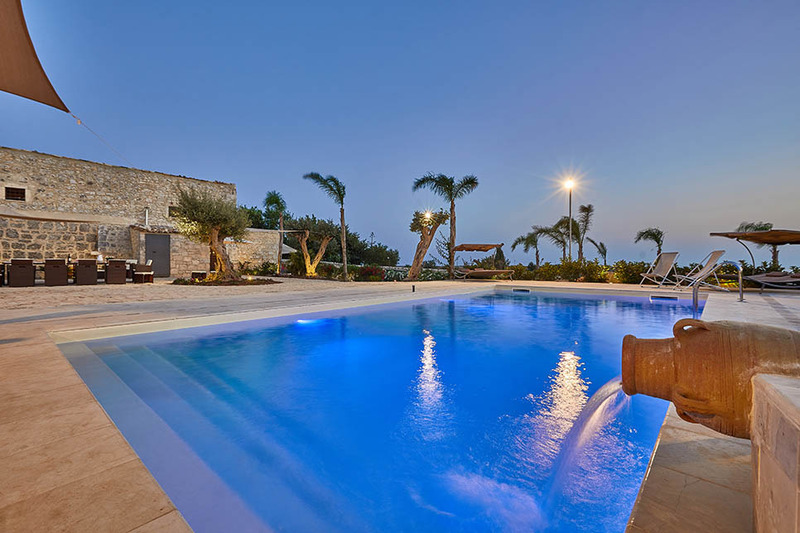 Situated just a hop from the white sandy beaches that fringe south east Sicily, the villa is also perfectly placed for visiting the extraordinary baroque towns of Ragusa, Modica and Scicli. 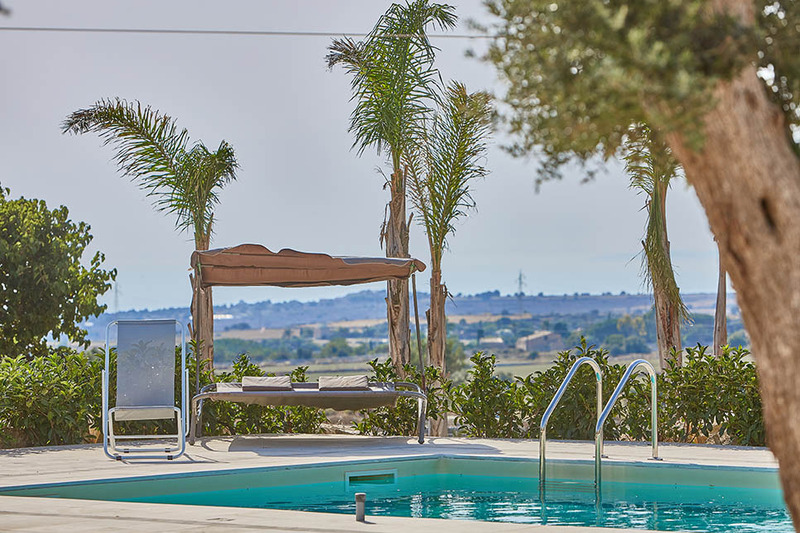 With views across the peaceful Ragusan countryside, the focal point of the garden is a superb swimming pool with adjacent jacuzzi. 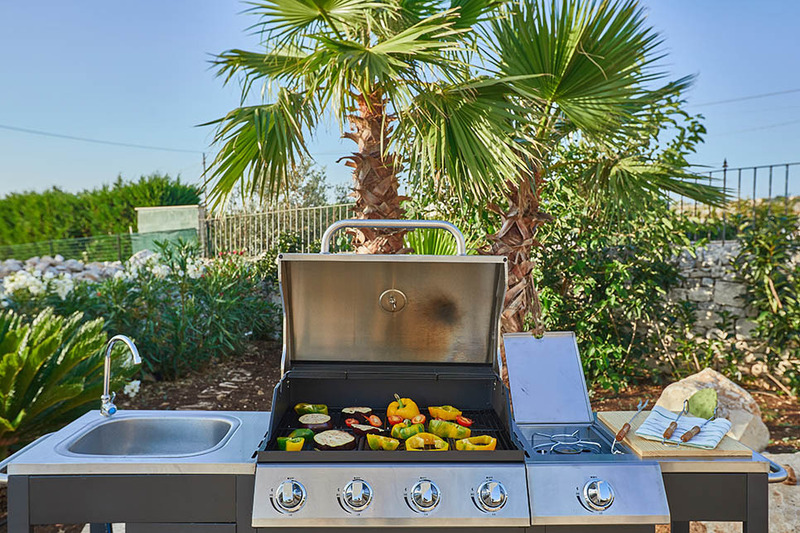 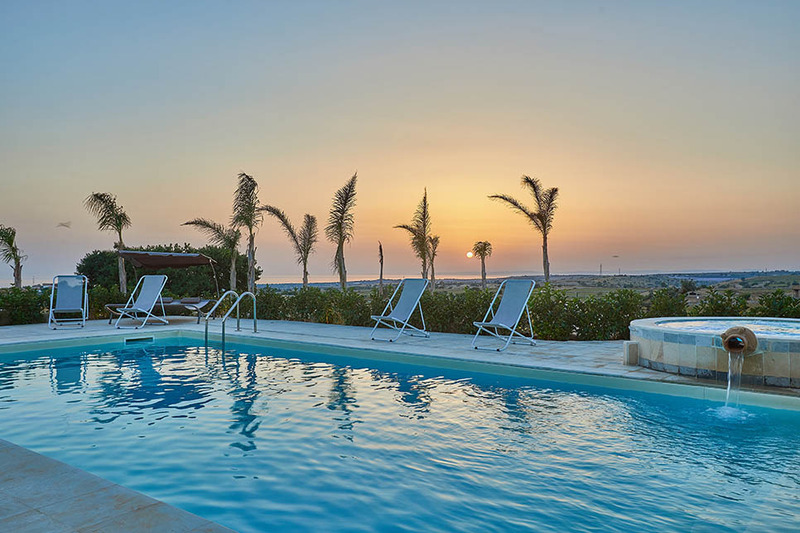 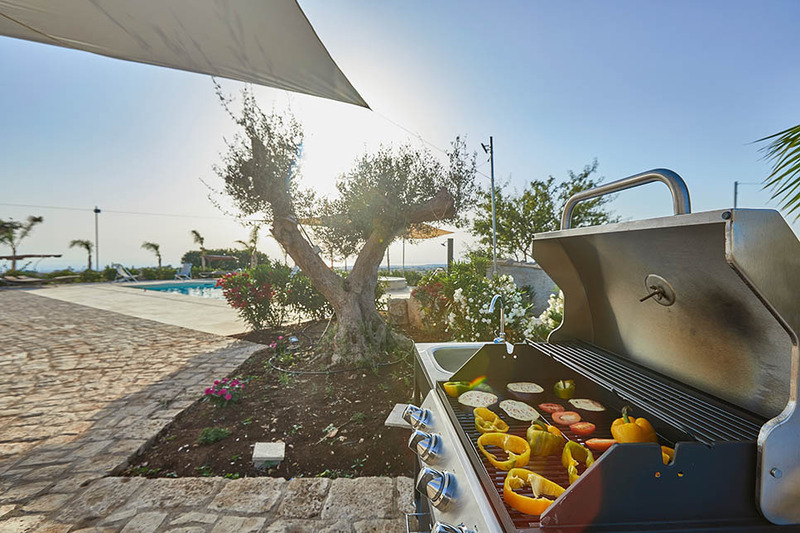 Large terraces provide plenty of space for soaking up the sun by the pool and al fresco dining and a gas barbecue, with a sink and hob unit, ensures that mealtimes are hassle-free and fun for all! 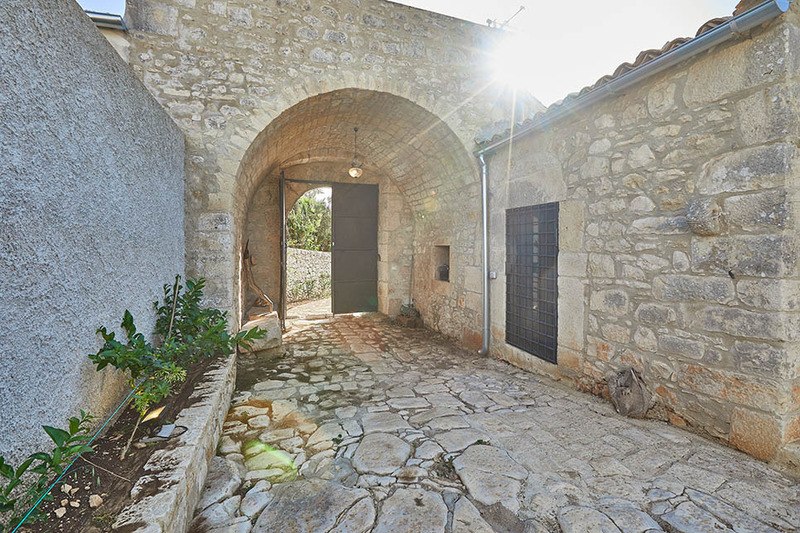 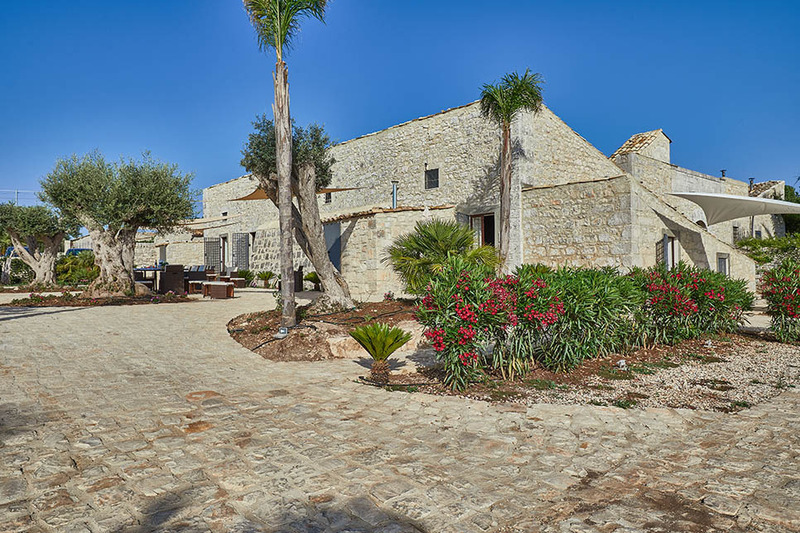 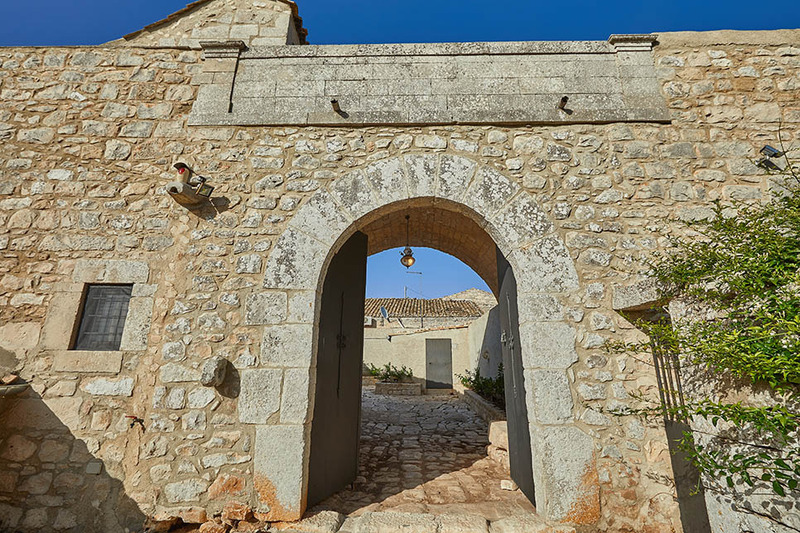 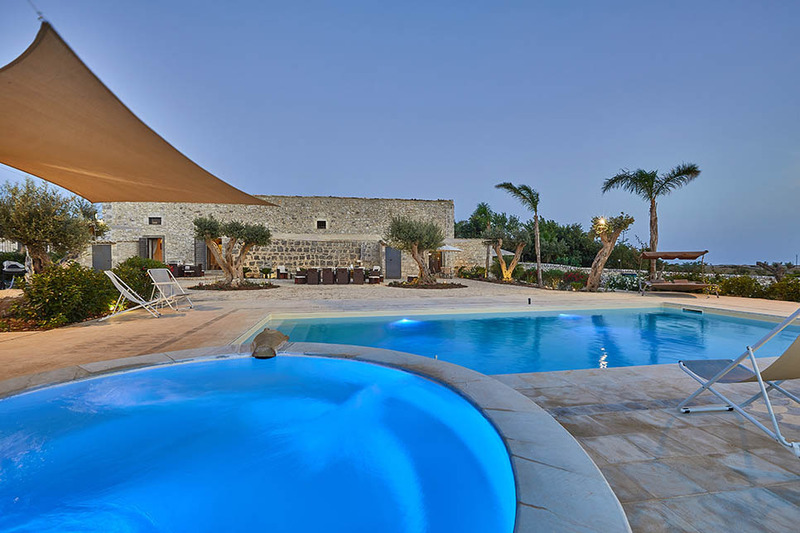 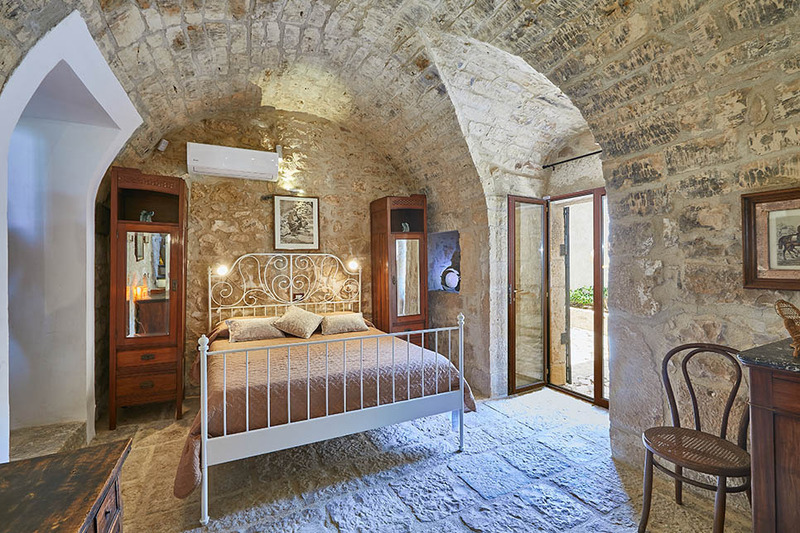 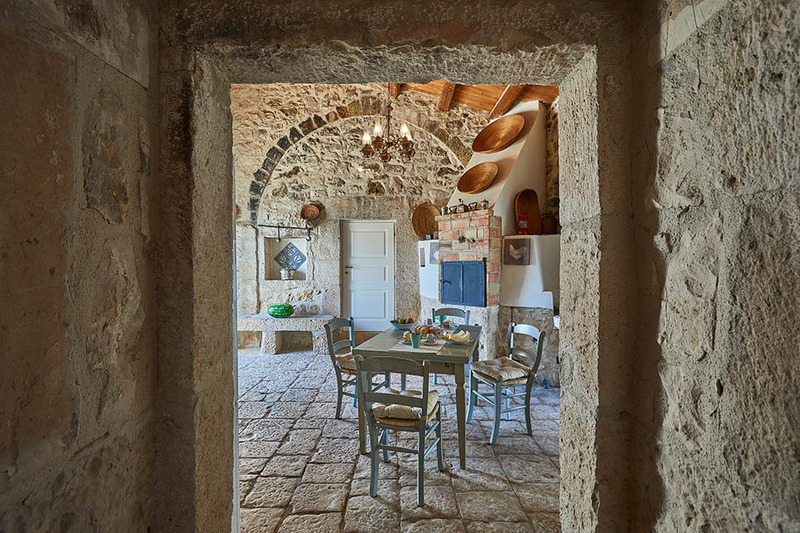 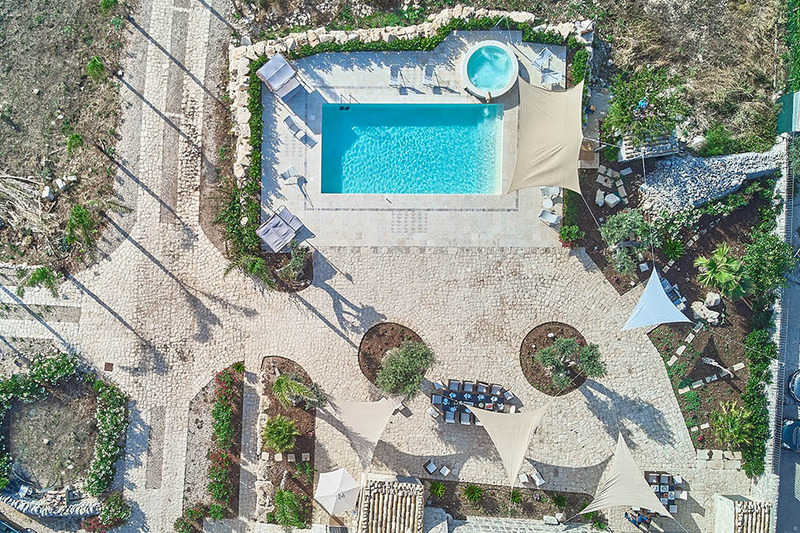 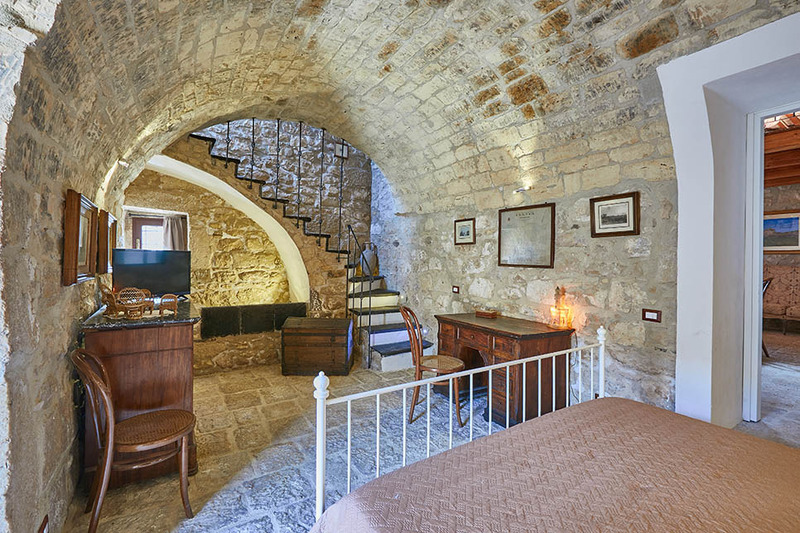 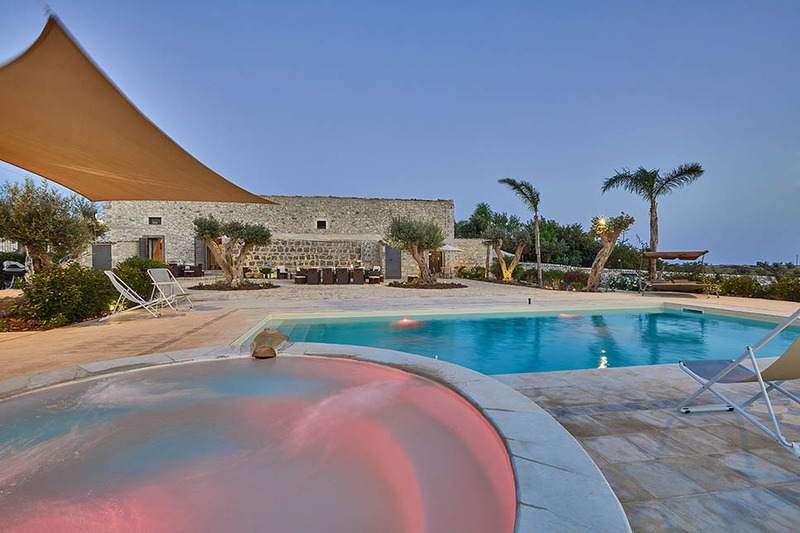 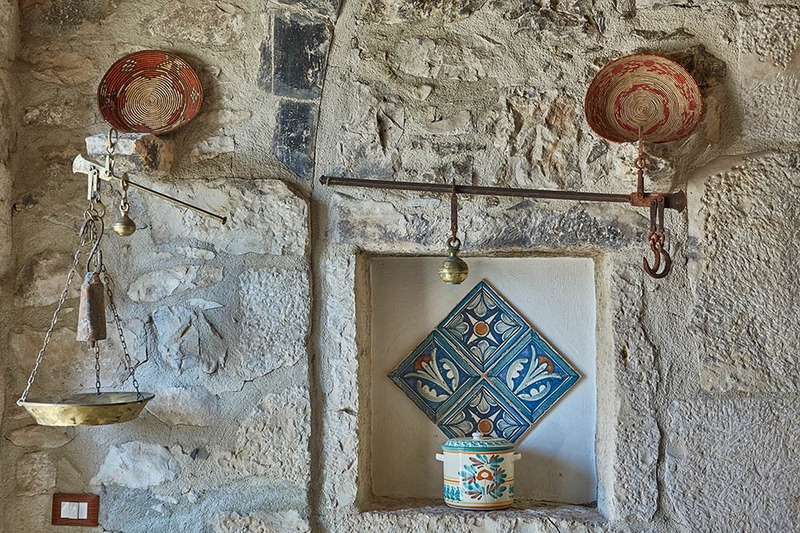 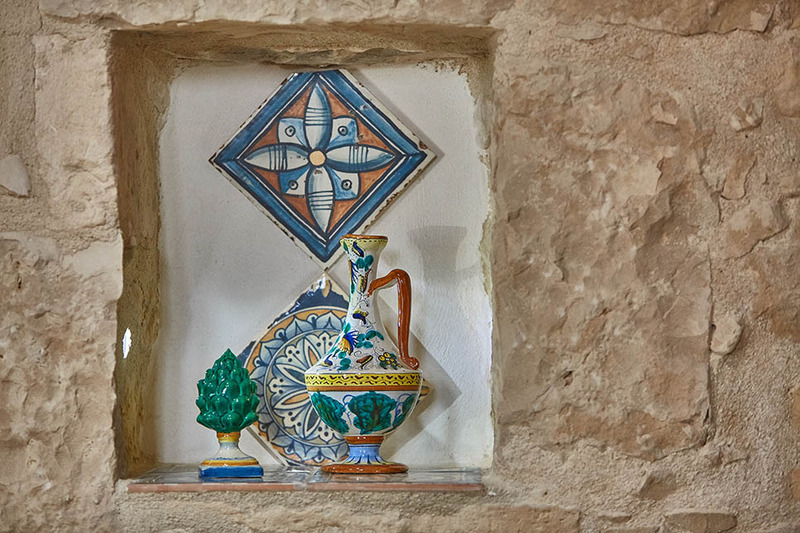 The atmospheric stone masseria has been beautifully restored, whilst still retaining its ancient archways and cobbled courtyards. 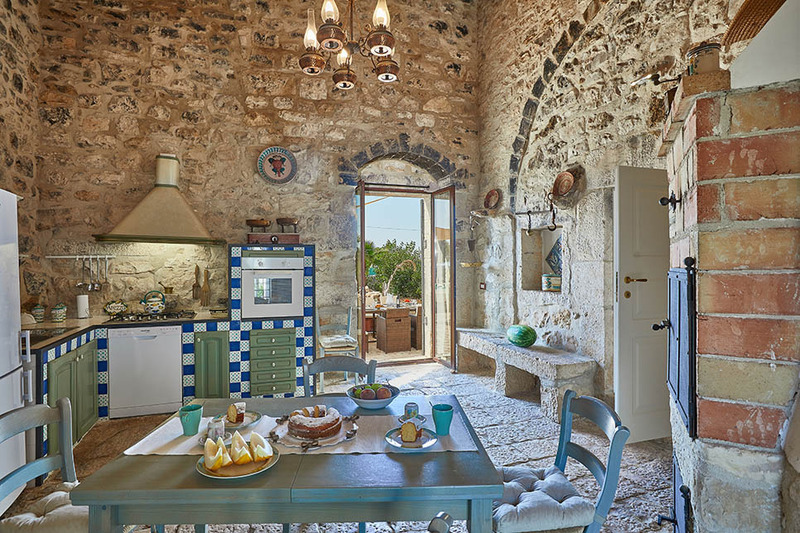 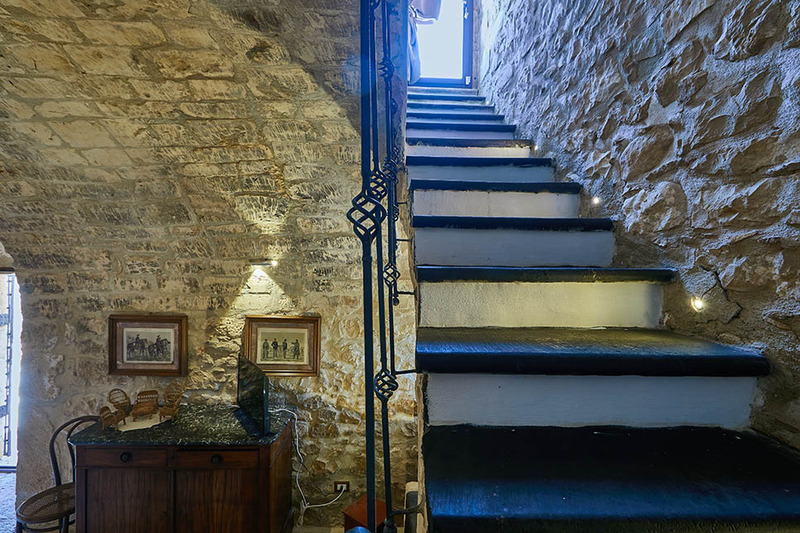 Entrance to the villa from the garden is directly into the main kitchen, a high-ceilinged room with exposed brickwork, fascinating nooks and crannies and the original stone floor. 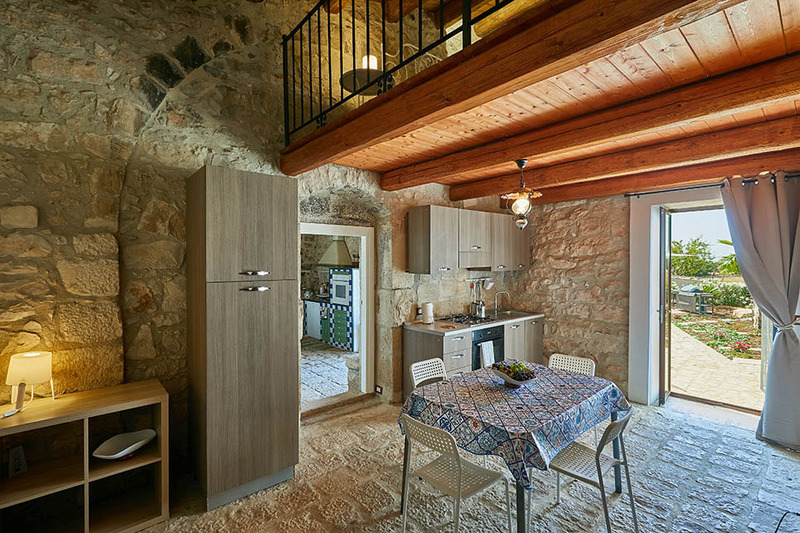 To one side of the main kitchen you can access a living space with a second smaller kitchen corner, a bathroom with shower and, on a mezzanine level, a double bed. 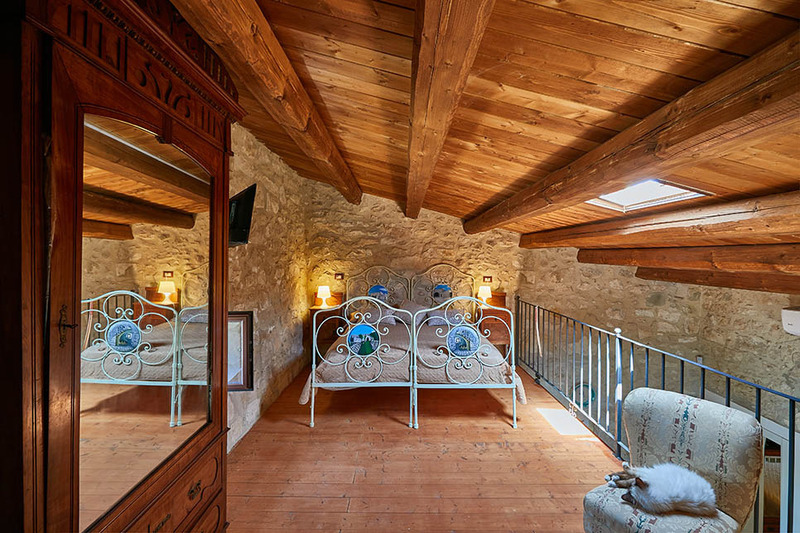 Here a double sofa bed is also available on request. 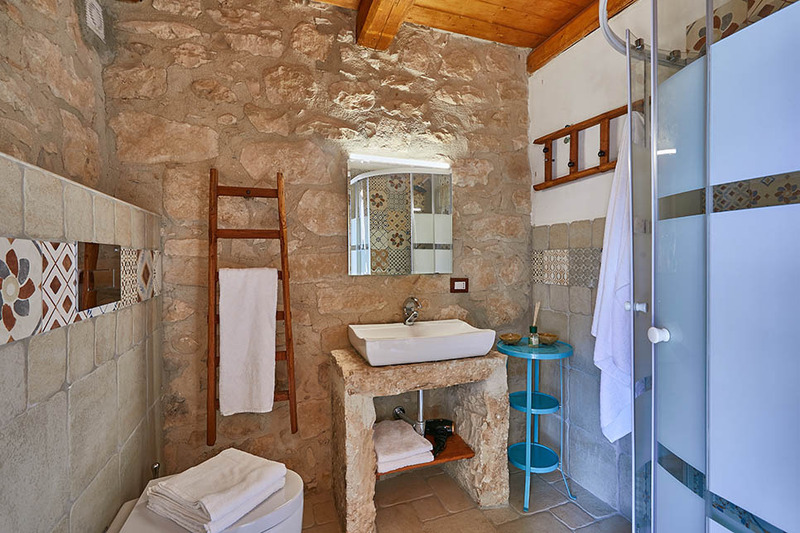 On the other side of the main kitchen, there is a living-room with external access, a double sofa bed available on request, a bathroom with shower and again, a double bed on a mezzanine level. 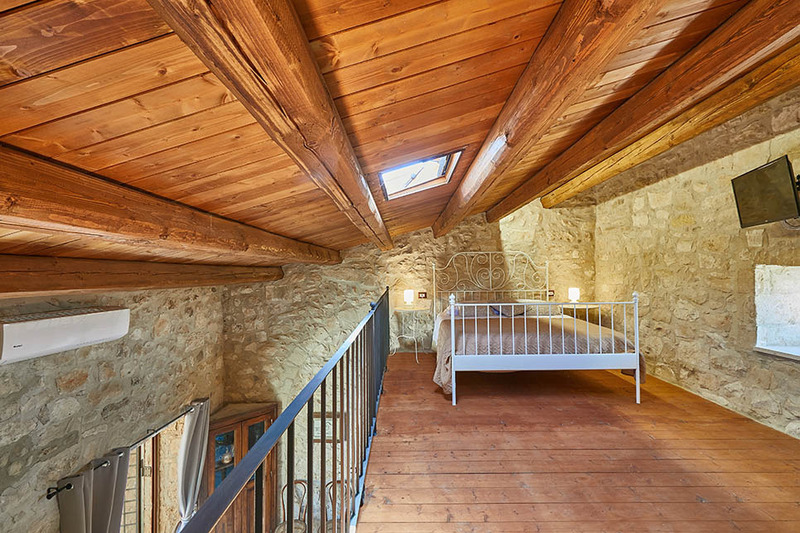 Beyond this, a second living-room leads to a double bedroom with courtyard access and an internal staircase to a small rooftop terrace. 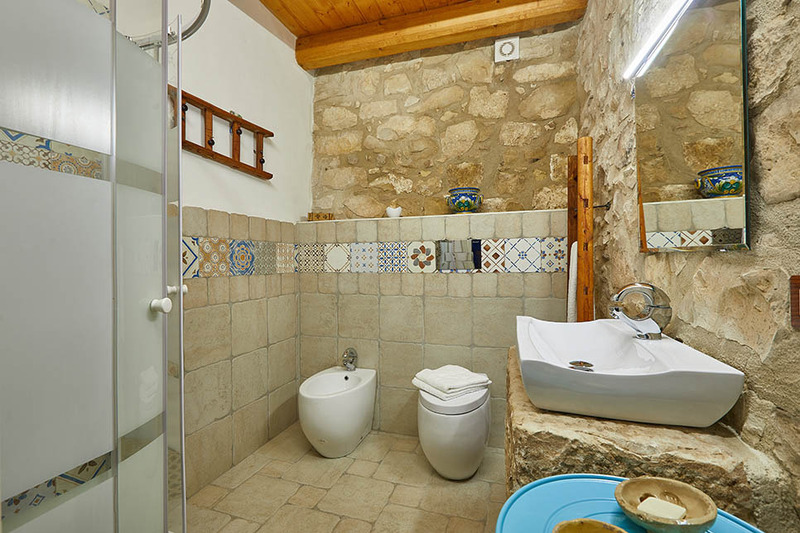 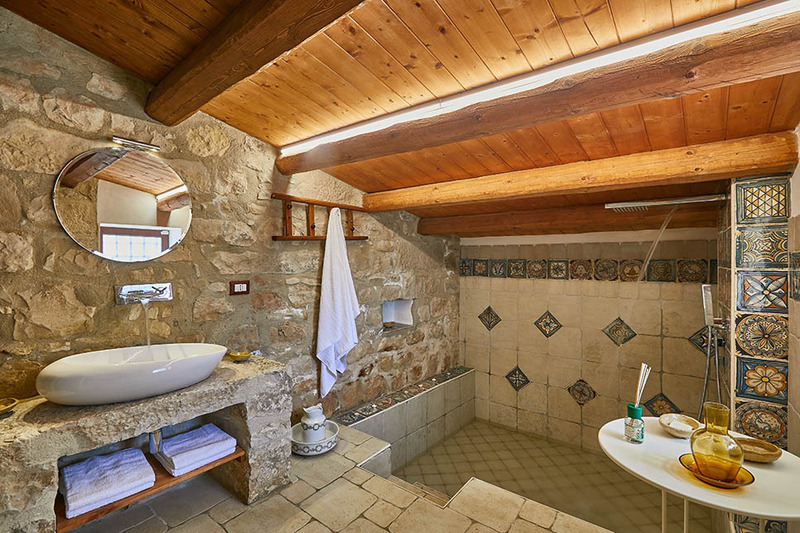 The third bathroom, with its magnificent tiled sunken bath and shower, is located in this part of the villa. 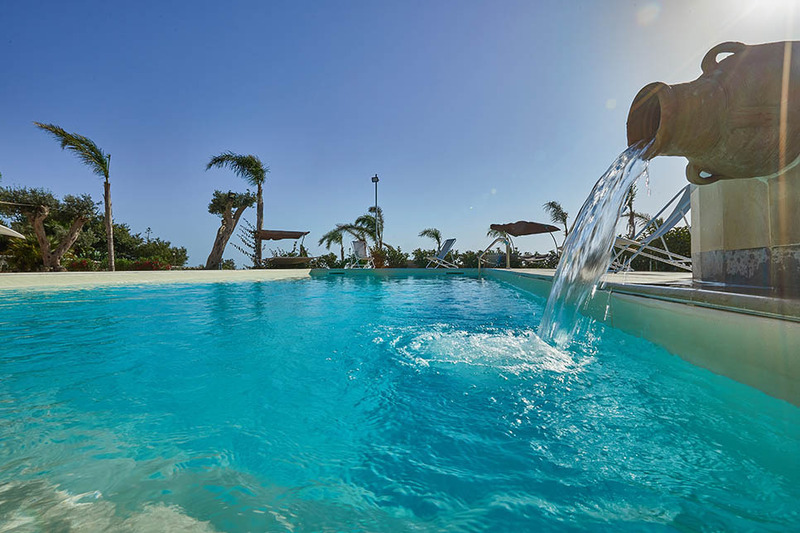 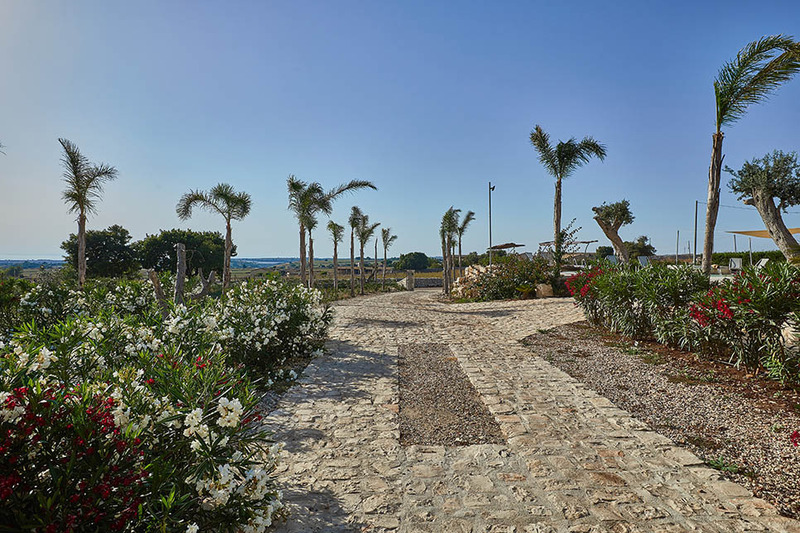 The villa is ideally located for anyone interested in exploring this corner of Sicily. 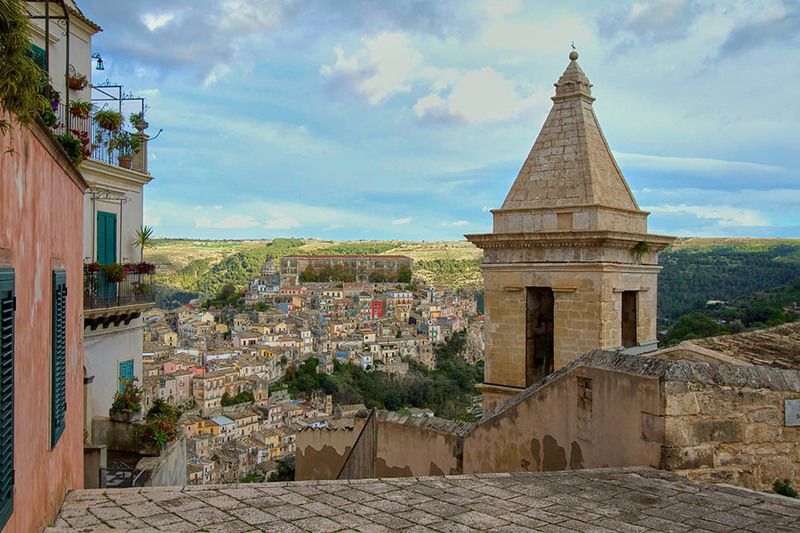 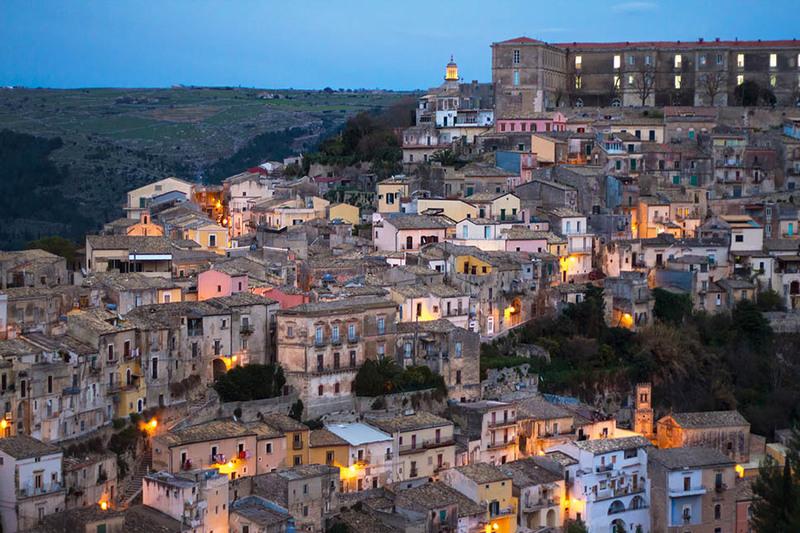 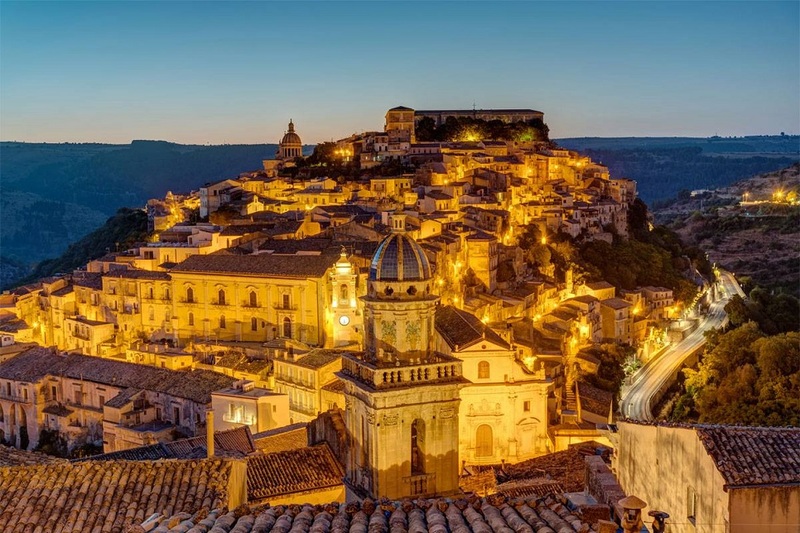 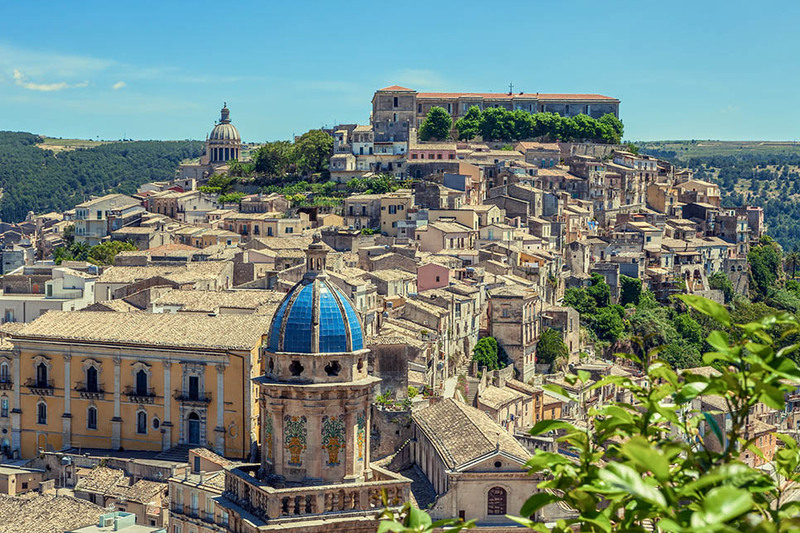 First stop must be the town of Ragusa Ibla, a magnificent jumble of ancient palazzi and churches which give the impression of tumbling down the hillside. 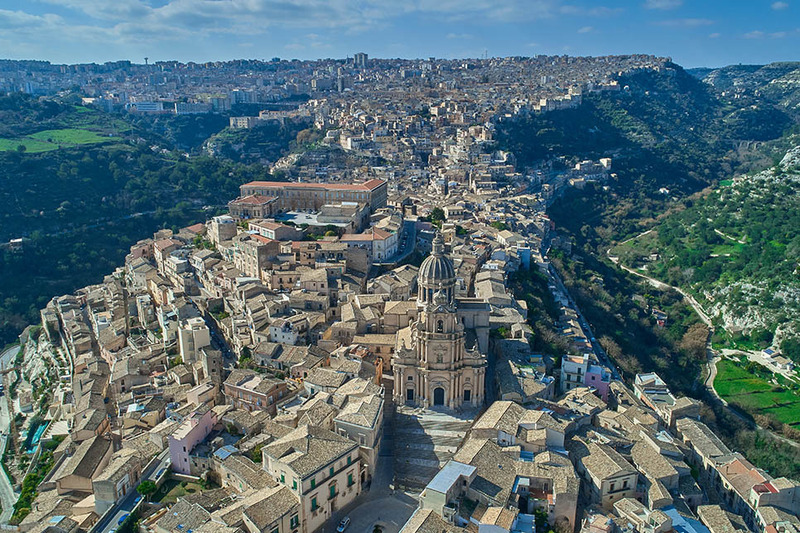 Modica has an altogether different feel but is equally charming, not least for its stunning Duomo. 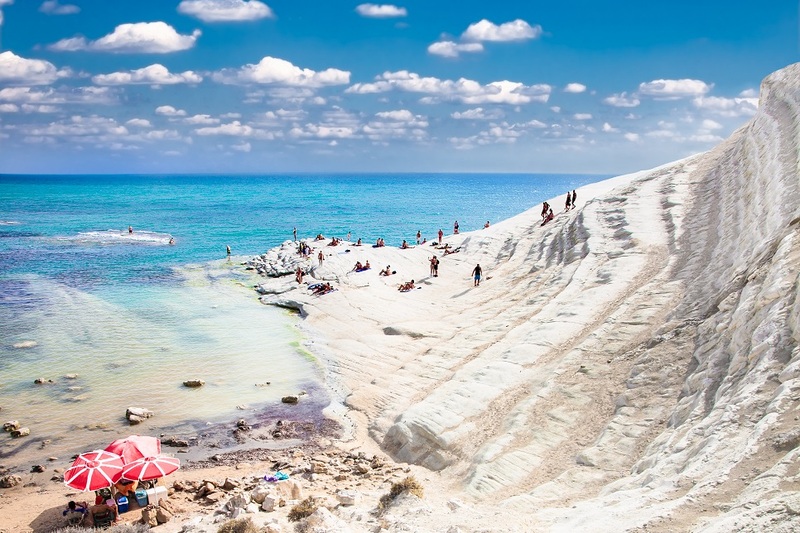 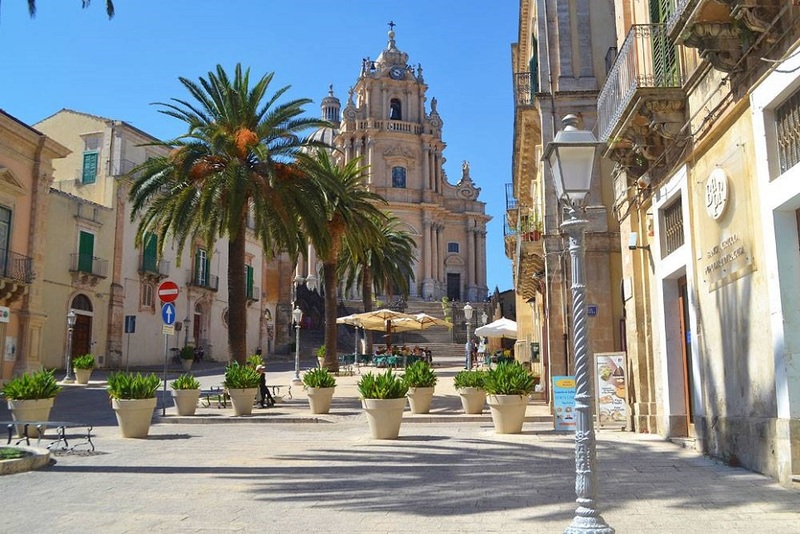 Inspector Montalbano fans will already be familiar with some of the sights of Scicli but we recommend allowing yourself time to wander beyond the obvious attractions. 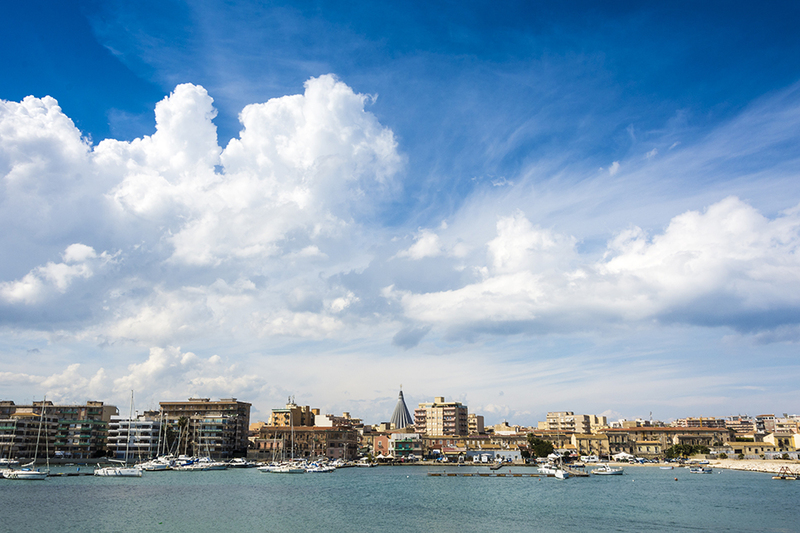 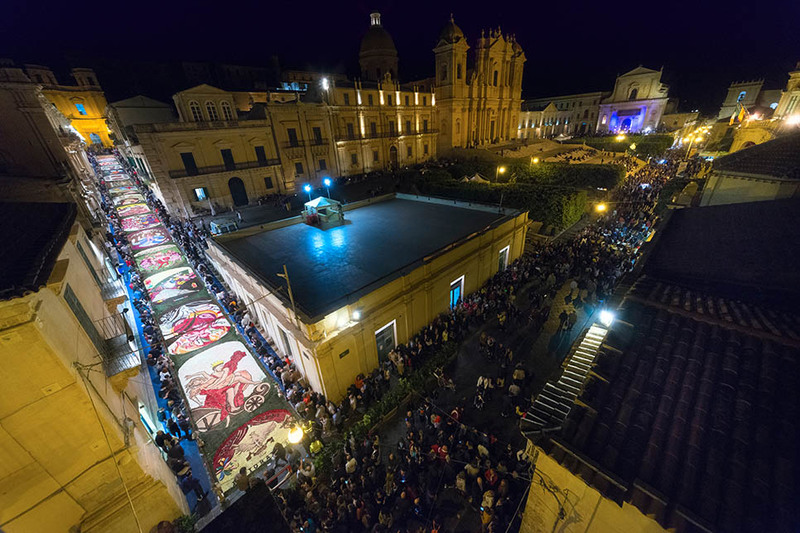 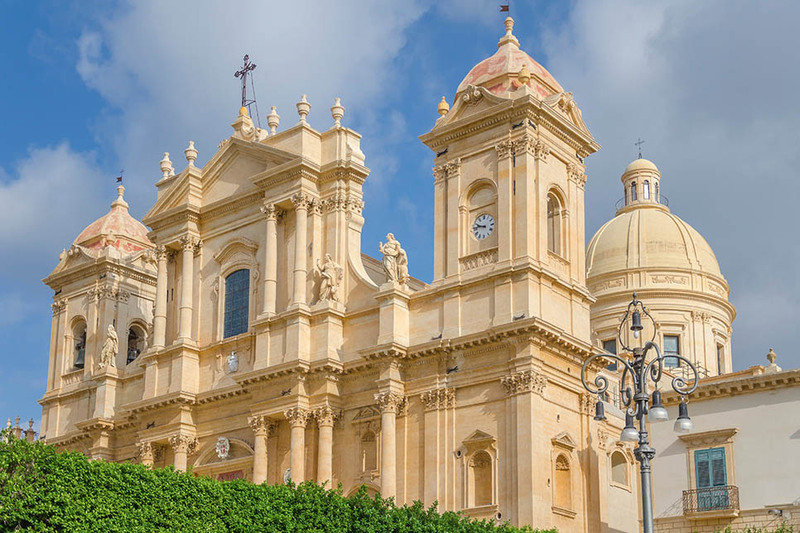 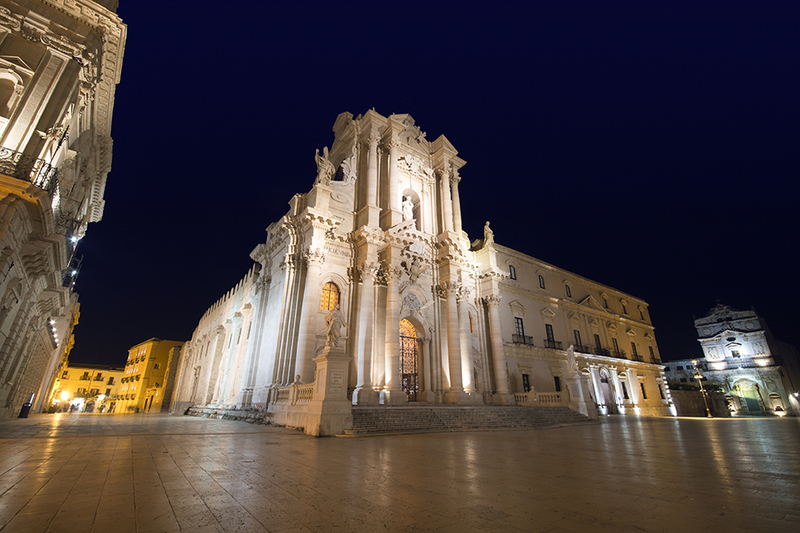 Further afield, Noto is one of Sicily’s most stunning baroque towns and the ancient Greek city of Syracuse is also well worth a visit - although you will need to set off early to make the most of your day. 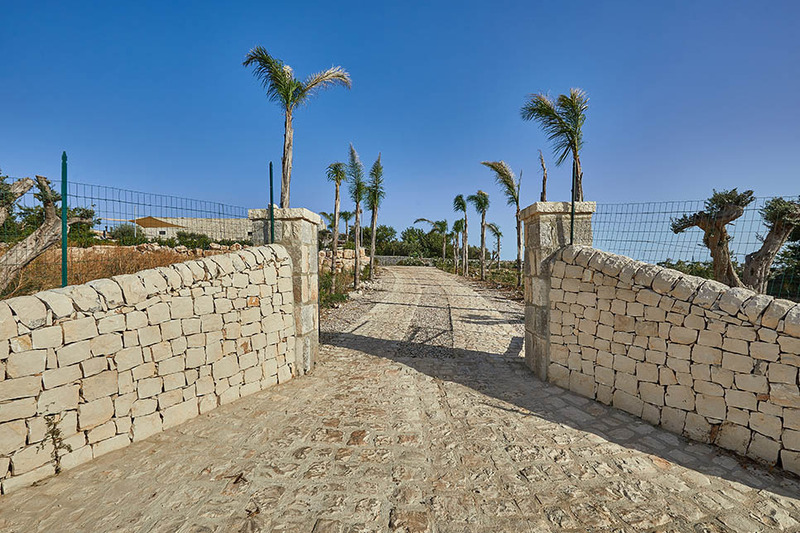 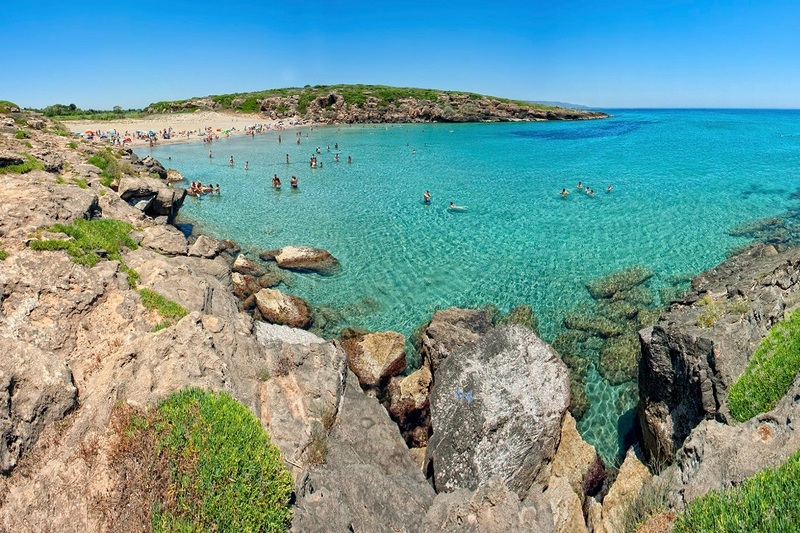 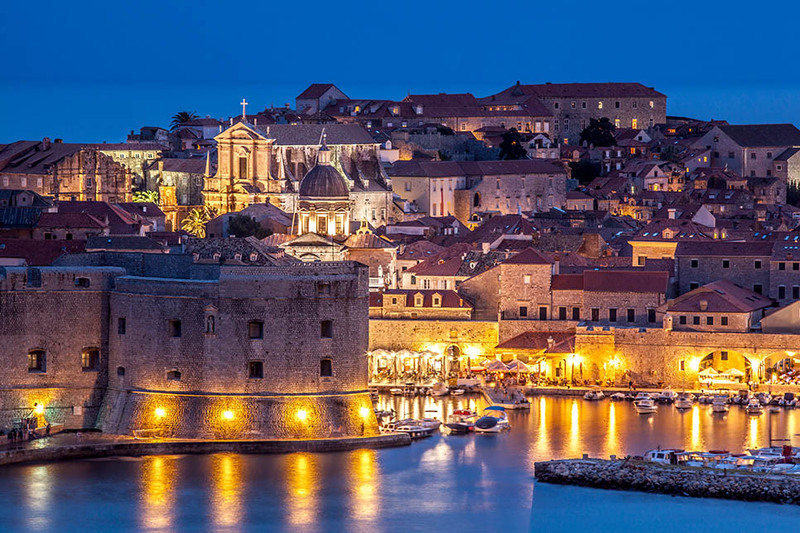 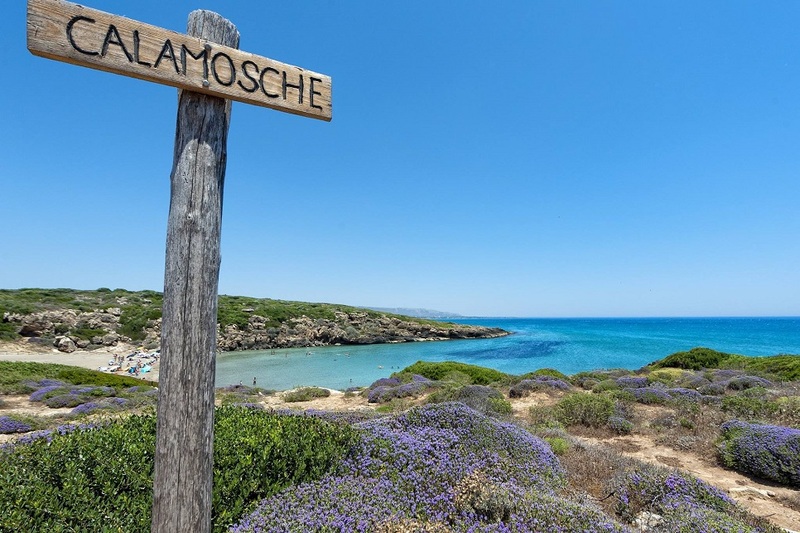 In terms of beaches, there are many to choose from, with sandy stretches lining the coast from Scoglitti to Punta Secca and from Marina di Ragusa to Pozzallo. 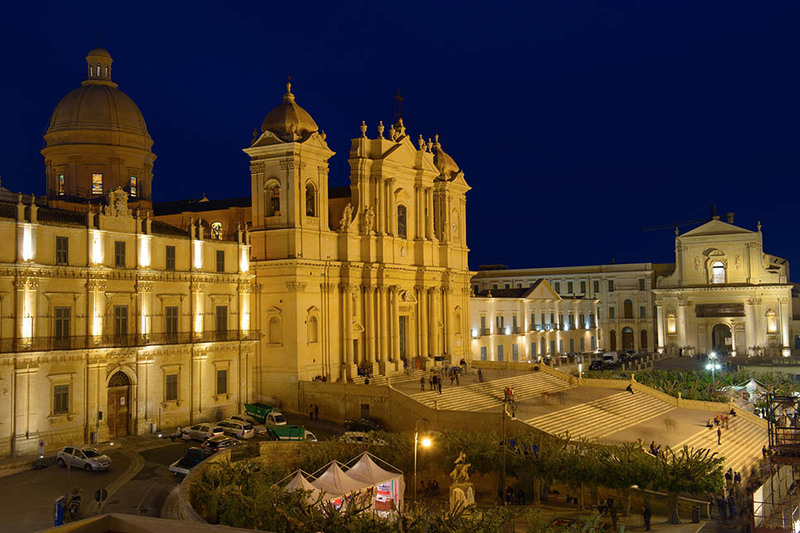 Getting to Casale Arezzo is also easy, with a choice of flights to nearby Comiso airport or Catania. 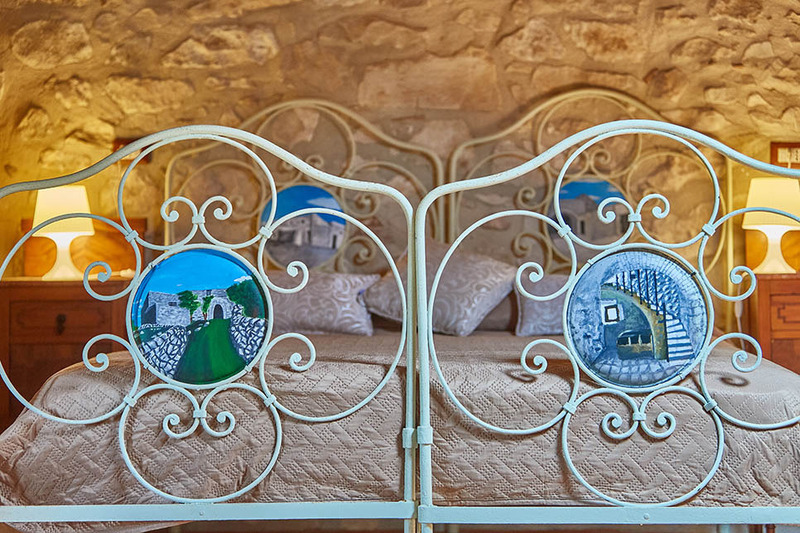 2 double sofa beds on request (up to 12 guests) euro 200/sofa bed per week.